Is it possible to tour around Malaysia on a bicycle? They travelled light- they brought very little clothes. The rest were like toiletries, bike tools, spare tubes and tent. In their article published online, they shared some experiences an uncomfortable encounters. But it is an adventure nevertheless. Another adventurous Malaysia is grandpa David Munusamy Reddie. 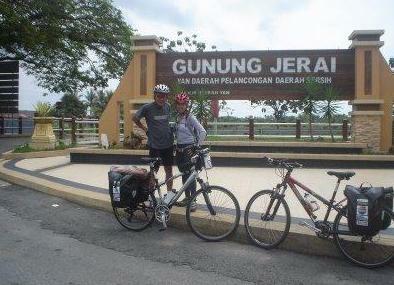 He started by cycling around Malaysia and eventually took his bicycle to explore the world. What’s even more special and awsome is that David was previously a heart by-pass and had other health ailments. His story proves that health and age are not deterrents for the adventurous person. You can visit his blog at http://cyclingineuropejuly2009.blogspot.com/.